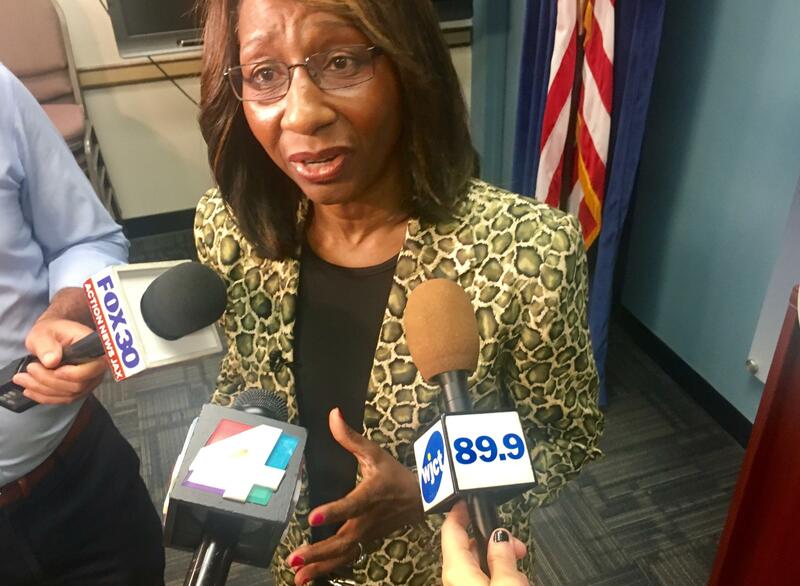 Duval School Board Chair Paula Wright talks to reporters Monday. “We’re going to ask each candidate to be prepared for 30 minutes each. Then we will have discussion and then vote,” School Board Chair Paula Wright said. Board members ranked Duval Assistant Superintendent of School Choice Pearl Roziers No.1. She’s retiring this year but told board members she’d be willing to stay on as interim superintendent until they find a permanent leader. Roziers might not be able to be superintendent if her retirement plan doesn't allowed her to be hired back, something the board is looking into. School board member Becki Couch nominated her. “(Roziers) has a wealth of knowledge in terms of the internal workings,” Wright said. Patricia Willis, a recommendation of Wright’s, was ranked second. She’s was Duval deputy superintendent from 2007-2012 and led the district's professional development department before that. Board member Cheryl Grymes, who was critical of the rushed timeline Monday, spoke highly of her. Former Hillsborough County Superintendent Earl Lennard also made the cut. Some board members like that he’s led a large, urban district like Duval. Board member Lori Hershey, who ranked him her second choice, said she’s looking for someone with superintendent experience. “I’m concerned about leadership...having the skillset to come in and help us finish up the budget process and to be able to lead,” Hershey said. Board members have decided they don’t want the interim to be someone who intends to apply for the permanent position. Current Superintendent Nikolai Vitti is leaving at the end of the week for the same job with Detroit Public Schools Community District, and it’s mandatory the board picks someone before he leaves. “Statutorily we must have a named superintendent by May 21,” Wright said. If first choice Roziers is out of the running, members may consider fourth-ranked choice, district Chief of Staff Dana Kriznar. 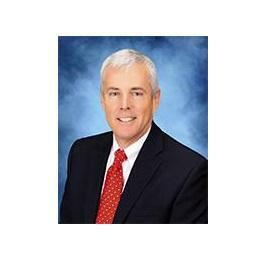 “We’re looking for a smooth transition in terms of a superintendent who will reign approximately five or six months to keep things moving and make certain we’re starting our year off right,” Wright said. Board members had been split on whether the temporary leader be from the district or come from the outside. Wright said the temporary superintendent will make the same salary Vitti did: $275,000 per year. “I leave the district knowing that it is in a better state than when I started,” he said in an email. 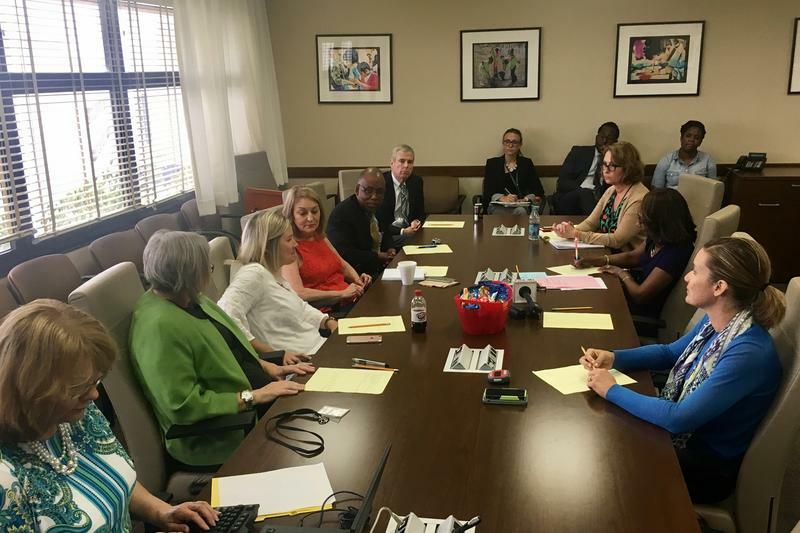 "There is still much to complete, and I hope the Duval County School Board will select a leader that will continue to make hard decisions in the best interest of children." Duval County School Board members have begun talking about qualities they want in an interim superintendent. 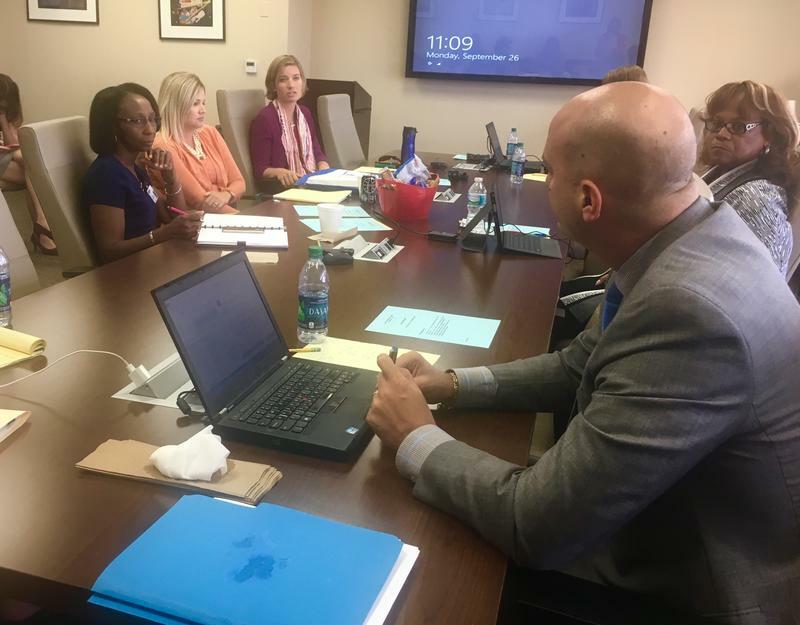 With current superintendent Nikolai Vitti likely taking a job in Detroit very soon, Board Chair Paula Wright said at Thursday’s meeting, the district can’t be without a leader.